This entry was posted on September 29, 2011 at 5:41 pm and is filed under Entertainment. You can follow any responses to this entry through the RSS 2.0 feed. You can leave a response, or trackback from your own site. Thanks for this. Love it! Great Post Thembisa! Truly sad news. Great post Thembisa…For better or worse Sugar Hill Records was the label that launched the commercial success of hip hop and taught many in the business how to protect your rights as a writer and performer. Although MUCH respect should be given as a pioneer WE MUST remain truthful and honest that if some of those deals were more amicable many of our founding artists would not be in the position they are in today… R.I.P. Sylvia Robinson with her legacy let’s learn the courage to be the first but let’s also understand the responsibility of being a leader and a follower. KNOWLEDGE is KEY in this business of music… LEARN the truth the whole truth and nothing but the truth for what you don’t know WILL hurt you in this business! Don’t believe me as any one of the founding performers and writers of OUR culture we call HIP HOP PEACE! 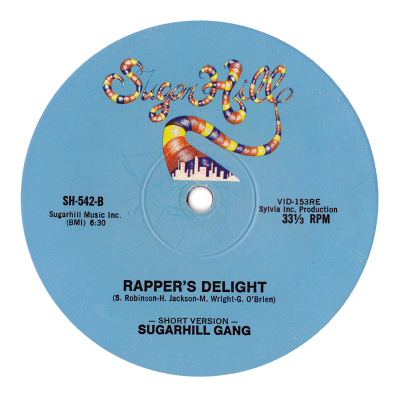 Rip Sylvia Robinson after my first purchase on Ejoy Records Superrappin by Grandmaster Flash i remember purchasing Rapper’s Delight at the young age of 11. I would probably not have gotten into music if it was not for those groundbreaking labels. B4 Freestyle music Hip Hop/Electro lead the way for the youth as a way out of the ghetto. SugarHill was the Defjam of my era. I’m quite certain I will learn lots of new stuff right here! Good luck for the next! Rest in peace Sylvia Robinson. One of our black leaders in the music industry. We all know the truth good and the bad, but this is not the form to voice any feelings other than expressing your condolences for Sylvia Robinson transition.